Ron has been in the real estate and auction business for over 30 years. At 25 years old, he started a successful surveying business. Along with his wife, Sindy, he started a firm real estate when he was 30 years old. In 2007, Ron was named the Bristol Association of Realtors Realtor of the Year. 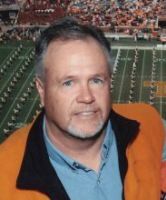 In 2008, Ron was inducted into the Tennessee Auctioneer Hall of Fame. He has received numerous awards and recognitions over the past 30 years from business and political organizations. 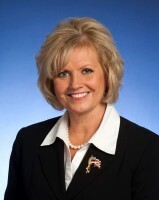 Ron served in the Tennessee General Assembly as a state representative and state senator for 24 years. From 2007 to 2017, Ron was the Lt. Governor of Tennessee. In January of 2017, he retired from public service to spend more time with his six grandchildren and to devote more time to his real estate and auction business. 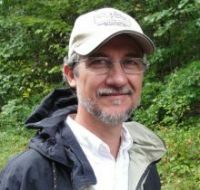 Ron serves on numerous boards and commissions. He is on the board of trustees of East Tennessee State University. In addition, he is on the board of the Tennessee FFA Foundation, Tennessee History for Kids, Rocky Mount historical site and several others. He has remained very active in his community after retiring from the state legislature. Sindy and Ron have worked side by side in their own business since 1981. Sindy truly is the glue that holds things together. She manages the day to day operations of the business. To say she wears many hats would be an understatement! She is the chief financial officer managing the financial affairs of the business. In addition, Sindy designs all the brochures and flyers for the auction sales. She keeps the website updated and is the all around computer expert. Sindy also serves on several community boards including being a charter member and past president of Speedway Childrens Charities. She is very active in her church organizing the annual bazaar and vacation bible school. Allen has been a licensed auctioneer and real estate for over 30 years. His excellent auctioneering skills earned him the title of Tennessee Grand Champion Auctioneer in 2001. For years, he owned an automobile auction company before selling the company in 2018. Allen serves his community by doing numerous charity and benefit auctions in the area. In addition, he owns and operates a beef cattle farm that is now in the third generation of Ramseys. Eddie has had his real estate license for over 25 years and is an apprentice auctioneer. On real estate and personal property auctions, Eddie is an excellent groundman and always gets the crowd enthused and insures the property brings top dollar. When not working with Ron Ramsey and Associates, Eddie and his wife, Sharon, own and operate a trophy company, All Star Trophies. 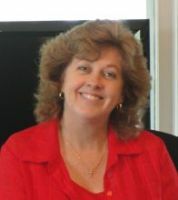 Kim helps manage the office operations of the company. She is the receptionist that alway meets people with a friendly hello and a smiling face. Kim helps with other day to day operations including working with title companies and following up with buyers and sellers to insure closings go smoothly. On auction day, Kim is the cashier assuring all funds are accounted for and the books are balanced.